Nautical Fabric Banner. 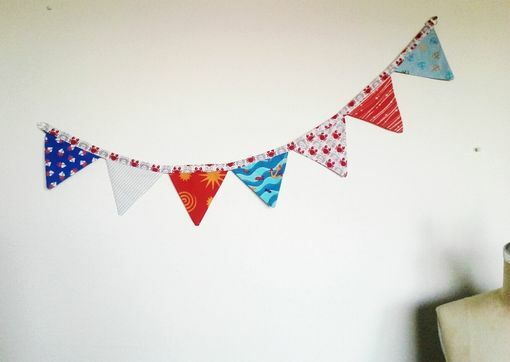 Nursery Or Home Decor Cloth Pennant Flag Banner. 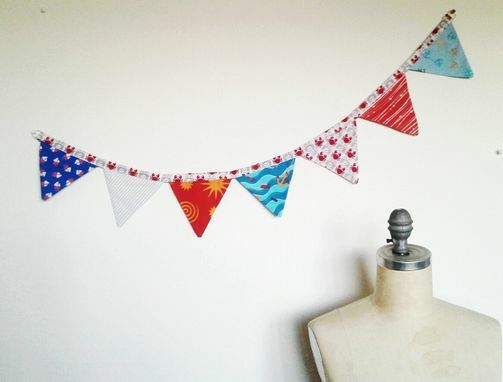 This fun red, white and blue cloth bunting is one of a kind and ready to ship! 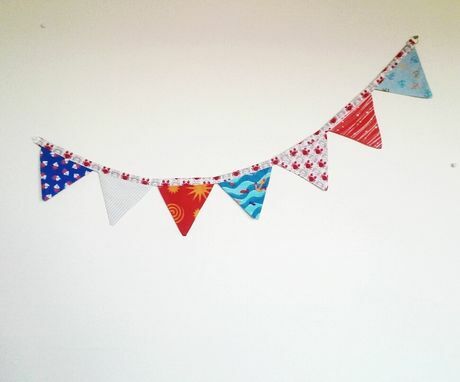 Perfect for summer barbecues, birthdays and picnics, or for your nautical or preppy themed nursery. 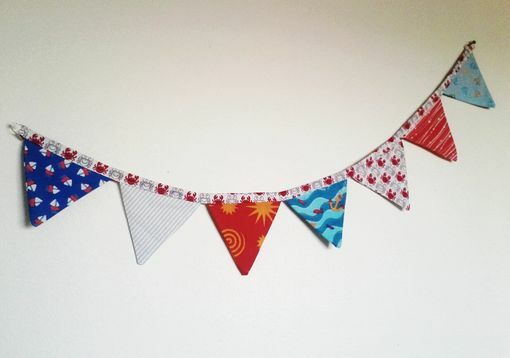 Each flag is hand cut from a different print, all in reds, whites and blues. Length measures 40 inches (over 3 feet) and each triangle is doubled sided and measures approximately 4.5 inches long and almost 5 inches wide at the top. Metal rings on each end allow for easy hanging. Durable and washable, I do recommend hand washing or the delicate cycle and hang drying. And please feel free to message me with any questions.